I want to inform people about the pros and cons about college. Some people work very hard to get into college, some just go because they don’t know what to do, which one are you? Maureen's study on college benefits. Maureen did a study saying that in 1979 people with a college degree got paid 35% more than people without a college education, in 2013 it is now 80% (“Soyars”). Maureen’s study shows that people with a college education have a much higher chance of getting paid more than someone with just a high school education. Also showing that more than half of the jobs now require a college degree of some sort. London Herbert did a study showing that after 20 years, college tuition has went up 400%. That is an enormous amount in 20 years. Also that the number one reason people drop out of college is the debt they've accumulated, as well showing that the nations average debt after college is almost $30,000! 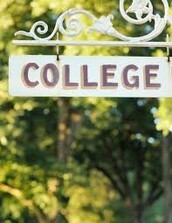 Lots of people go to college because either their job requires it or because they just want to future their education. So many people go to college and throw so much of it away because they party so much and forget some of the important things about college, and many of those people are the ones who end up with the most debt because they aren't prepared for the cost of college and don't do very good because the lack of discipline. How will you end up? Most people go to college because they know that getting a college education is far more valuable then someone without one. Is that always true though? Is going through all that work of paying off your debt and going to classes for the next four years worth it in the end for you? How much effort will you put into your classes? Will you put 100% of your efforts into classes, or just get by and have fun? Also will all that work pay off after college? Some people go straight into the work force, which they go into life with no debt from loans and start working. Which one best fits you?